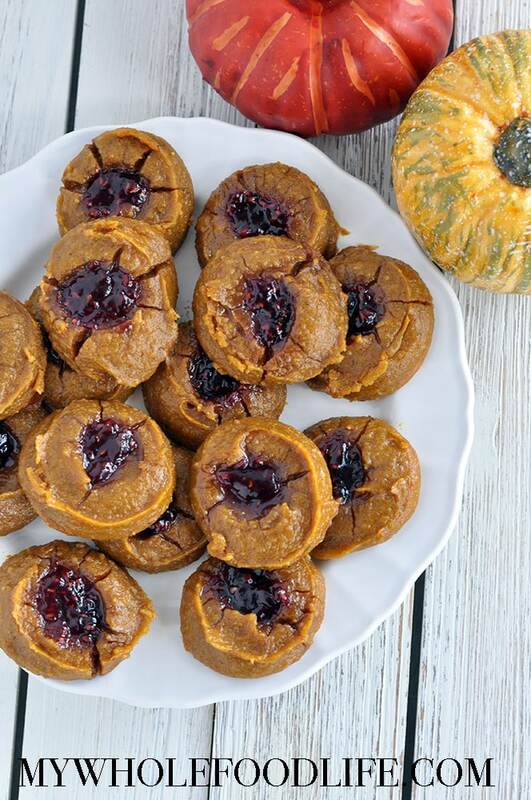 Pumpkin Raspberry Thumbprint Cookies. I had this raspberry jam I needed to use up in the fridge, so I made these paleo pumpkin cookies. These cookies are a super cinch to make and don’t require too many ingredients. I used cashew butter in my recipe, but another nut butter will work as well. Sunflower butter works too if you need to make these nut free. Also, if you need to be nut free, you can use another flour in place of the almond flour. The recipe is very versatile. This recipe is vegan, gluten free and paleo! It makes a softer cookie in case you were wondering. If you don’t like raspberry, you can always use another jam. Want to make this recipe" Watch the video below. For more videos, you can check out my You Tube Channel. The post Pumpkin Raspberry Thumbprint Cookies (Vegan) appeared first on My Whole Food Life.